One thing that gets me about this place is the contrast between high-quality architectural elements and cheap ones. 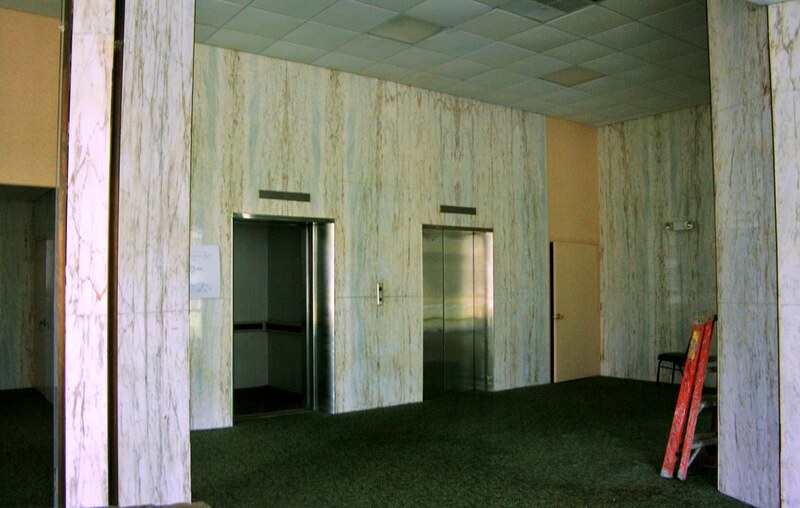 For example, the lobby of the tower featured stone walls, in contrast to a cheap, dated carpet, and drop ceiling. Not to mention that the elevators appear to be very old.